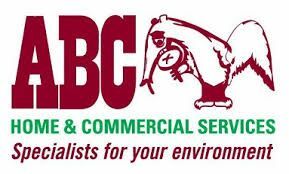 ABC Home & Commercial Services - ABC Home and Commercial's expertise and commitment to quality, performance, and customer satisfaction extends beyond just pest control. ABC Home and Commercial's expertise and commitment to quality, performance, and customer satisfaction extends beyond just pest control. At ABC Home & Commercial Services, our mission is to positively impact the lives of others. We serve the public, our customers, and our co-workers by providing reliable, environmentally responsible, and quality services. We are always pursuing greater knowledge and higher standards of professionalism and performance to improve your home. Pest Control, rodent control, rodent removal, lawn care, Bed bug control, palmetto bug extermination, flea & tick removal.